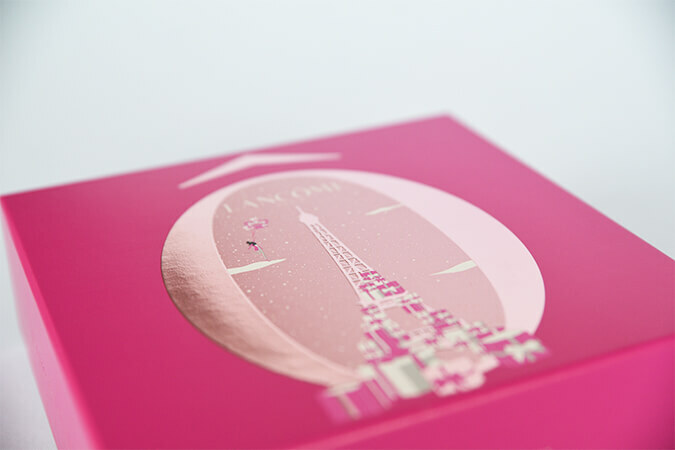 Christmas gift box for its’ iconic Lancôme perfume, La vie est belle. by a three-level embossing. The magic continues when we open the box with a printed interior on silver cardboard which lets appear the famous «Ô» of the brand in the back of the box by a spot glossy varnish effect on a mat background. A feminine and refined box taking after the famous perfume of Lancôme.